Want to see our shelters and give them a “test drive?” Come to our showroom in Madison or Tupelo. Want to become a dealer or distributor for Supercell Shelters™? Give us a call at (256) 837-2922 or click on the following link to email us for more information. 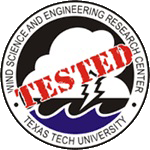 Our shelters have been tested at the Texas Tech Wind Science Research Institute and passed their Debris Impact Test, proving to be capable of withstanding the winds of an EF-5 tornado. 100% Financing for our storm shelters is available with approved credit. Admirals Bank provides financing through their FHA Title 1 Home Improvement Loan program for our customers. To find out more simply click on the link below. 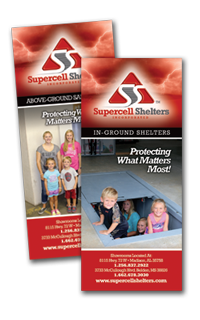 If you’d like further information to help you make your decision about purchasing an in-ground or above-ground Supercell Shelter simply request one of our free brochures by sending us an email from our CONTACT US page.